It's the holidays, which end up being a pretty decent time to add to the preps or share preps with loved ones. Here are TEOTWAWKI Blog's picks for the season. And if you click through and make any purchase on Amazon, we get a small percentage of the sale. It doesn't cost you anything and all proceeds go towards supporting the blog. 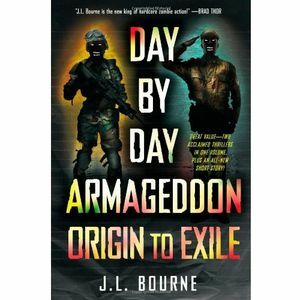 Day By Day Armageddon Origin to Exile by J.L. Bourne - Page turning zombie survival with military hardware. Intense, fun and engaging. This is a compilation of the first two books - the third is due out this summer. When All Hell Breaks Loose by Cody Lundin - An excellent, practical and thorough look at disaster survival. Cody has some celebrity status, which may get fence-sitter preppers to crack it open. The Survivalist #1 by Jerry Ahern - 80s survivalist action. Soviets, evil biker gangs, nuclear war, Detonics and ultimo survivor John Rourke. It's not the most realistic, it's a bit campy but it's fun. Required reading for any serious fan of apocalypse fiction. Also available in Graphic Audio. Self Sufficiency - A gorgeous hardcover book, with great full-color photography throughout. Covers a huge range of self sufficiency topics, from rooftop gardening, baking bread and canning to woodworking and basketweaving. Fun just to look at. Spycraft - An inside look at the real life stories of the CIA's Office of Technical Services. These guys are the technical wizards who create gadgets, gizmos and weapons for our nation's spies and secret agents. Pretty fascinating for anyone interested in urban survival, gadgetry, grey man techniques and so on. Kindle - Store hundreds of books and PDFs on one device. Lasts up to two months on a single charge. A portable survival library at your finger tips. Pretty cool. The Kindle Fire is a pretty fun, too - lacks the battery life*6-8 hours), but good for apps (Plants vs. Zombies!) and streaming content. 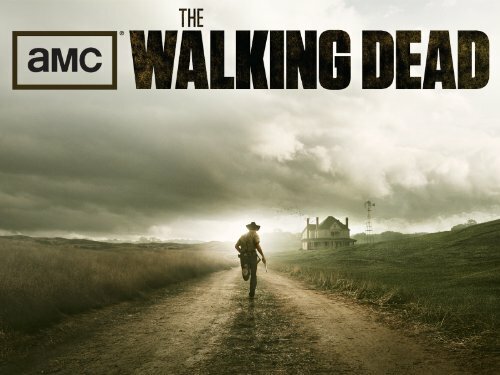 The Walking Dead - Catch the excellent zombie series for the first time or watch it all over again. Season 1 is available on DVD or Blu Ray, and Season 2 episodes are available for download on Amazon. The Book of Eli - One of the best post apocalypse movies, ever. Stands up to re-watching. Dual Survival - Dave and Cody are the best there is when it comes to survival TV. They are informative and hilarious at the same time. I'll have to admit that I've stolen more than a few catch phrases from these guys. Love this show, love what both of these guys do and whole-heartedly support them. Covert coin - Cool concealment device capable of holding a micro SD card. Actually a potentially useful item for caching valuable electronic information and sensitive files. Fun either way. 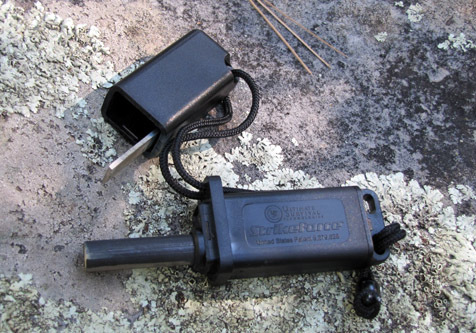 Butane Zippo Instert - This insert gives you the benefits of butane (tired of your lighter drying out?) while otherwise maintaining the classic functionality of the Zippo. Most of us have at least one Zippo kicking around, this takes it to the next level. Telepen Telescopic Pen - A tiny, keychain sized pen. Easy way to always have a writing tool handy. Good gift. StrikeForce Fire Starter - The StrikeForce has come out on top after several head-to-head comparisons with other leading designs. The best ferro rod out there. Surefire E1B Backup - Powerful, rugged and super easy to carry, the E1B is worth the price of admission. Easy-carrying LED flashlight zen. Leatherman Multitool - Whether the new and affordable Wingman or the high-end MUT, Leatherman Tools make great gifts. They last for years and get used on a regular basis. Handy no matter what your scenario is.